But surely, that has no effect on teacher morale, right, Chancellor Walcott? There may be accountability, but someone is cooking the books. 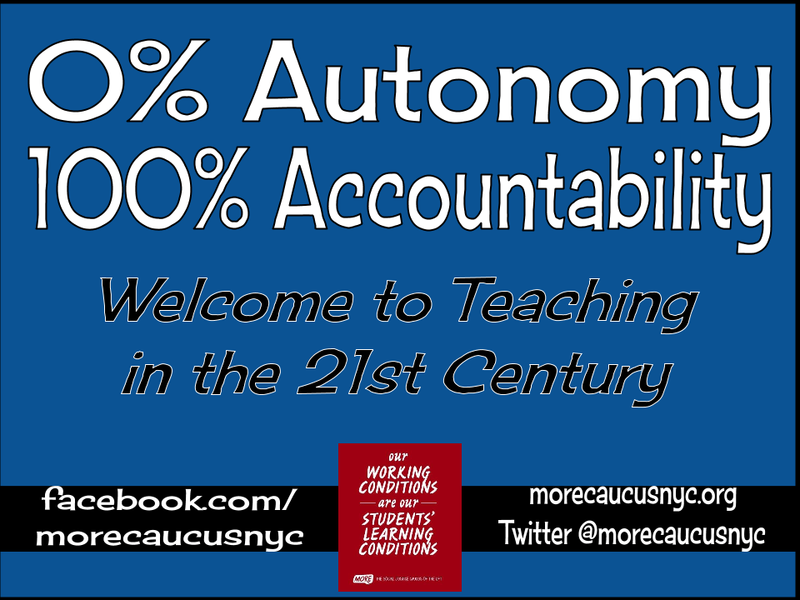 More like automotons than autonomy.